CATHERINE: September is the one month, except for December, that brings to mind lyric after song title, after nostalgic memory for us. Did you know that there are over forty songs with September in the song, with September as the title or as the main theme? A couple web sites declared there were over one hundred, but I never found that many. Suffice it to say, there are quite a few. Most of us know September Morn by Neil Diamond and if you don’t, shame on you. LOL. You can listen to it (and see Neil) by clicking on the name above. September in the Rain, September Fields, September of My Years, September in the Garden, Wake Me Up When September Ends. As a writer, be honest, don’t romantic and especially melancholy romantic songs---AKA “Sad Songs”--- whisk your creative juices into the next scene? A new story? Bring a hero to life? I have to confess, these old sad, torchy, bluesy songs do that for me. I found a box of my mother’s old 78’s---no kidding---and there were names on those labels I’d forgotten. (Shame on me, this time.) Perry Como, Louis Armstrong, Ella Fitzgerald, Tommy Dorsey, Harry James, Glenn Miller. The list is endless. Nearly every album had at least one song about September. September is a glorious month, before the leaves turn, the days are still warm and the sun bright. The harvest is coming in and kids are back in school. Summer romances are over, or the wait for one is forgotten if it’s never begun. Back at school, there are new people to meet. New “chances of a lifetime.” New beginnings. September songs bring those kinds of stories to our minds. And as authors, we’re itching to get them down on paper. 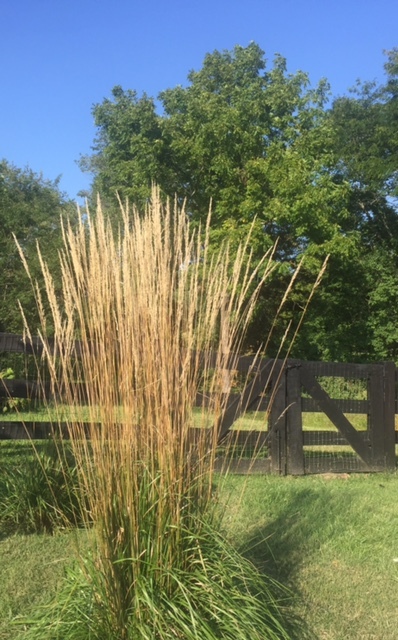 “Try to Remember the kind of September, when grass was green and grain was yellow. 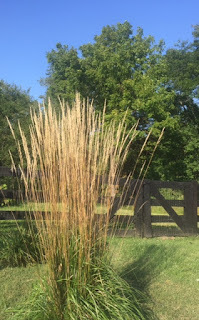 Try to remember the kind of September when you were a young and callow fellow.” That line is from the play “The Fantasticks.” A 1960 musical with music by Harvey Schmidt and lyrics by Tom Jones. It was an off-Broadway production at the Sullivan Street Theater that ran for 42 years and 17, 162 performances. It was an allegorical story loosely based on another play, Les Romanesques by Edmund Rostard. Two neighboring fathers trick their children, Luisa and Matt into falling in love, by pretending to feud. I won’t tell you the rest of the story. Undoubtedly, many of you know it. It was one of my husband’s favorite musicals. But the words to “Try to Remember” are haunting. Unforgettable. Seriously, these wistful and melancholy words and melody will take you away to the world you had forgotten. They can make you think of, or imagine the one love you might have passed over, forgotten, or even mistreated. Maybe you’d like to have a chance to right a wrong. Or simply wallow for a moment in the past and while you are there, authors, don’t you find yourself picking another story to put in that antique wicker basket of romantic ideas? Here’s a link to Andy Williams singing the song on YouTube. Another one of my favorites is “See you in September” by The Happenings. The line, “Will I see you in September, or lose you to a summer love?” was and is a huge trigger to my romantic revolver. Bang! I’m already thinking of the guy who went away for the summer, comes back and his girlfriend is engaged to someone else and now he’s got to get her back. But the competition is tough as nails. That kind of thing. So, while I’m airing my “late summer” confessions here, I admit to liking sad songs more than I do happy songs. The sadder the better. Those deep emotions stir me to tears. Sniff, sob. Then there I go, dragging myself to the computer again and writing another emotional scene that makes me cry---even for the bad guys, sometimes. Hey. Bad guys need love, too. In fact, I think that’s what’s wrong with bad boys. Not enough love. After all, isn’t that why we keep putting bad boys in leather on motorcycles on the covers? Secretly, we all want to love them till they turn to mush. Just to prove we have the power to do that. Rula, what do you think of September themed songs? RULA: I love everything about September, including the songs about it, although it does seem that most are nostalgic, bittersweet or sad. I do agree that I have a thing for angsty songs. They really do stir up my emotions and that wakes up the writer in me. Now, one song that celebrates the more calm, winding down, cozy, loving feel to September is James Taylor’s September Grass. You mentioned September Fields and I love Frazey Ford’s voice. As for September Song, there’s another one by JP Cooper that’s about teenage love. Here’s the video. But I must say, my favorite September themed music video and song these days is Green Day’s Wake me Up When September Ends. Anyone who hasn’t seen it click the link. Watching it and listening is like experiencing a romance novel and, as to the ending, I choose to believe they’re reunited in the end…but that’s me demanding a happy ever after :). After all, I love fall and the reason I love September is that it’s my gateway to heaven…the month of October. My favorite. It’s really amazing how songs and lyrics stick with us for so long. They’re unforgettable. So whether September feels peaceful and quiet, or all the back-to-school makes for a cozy, family feel, or it feels nostalgic and bittersweet…let’s make it a September to remember. 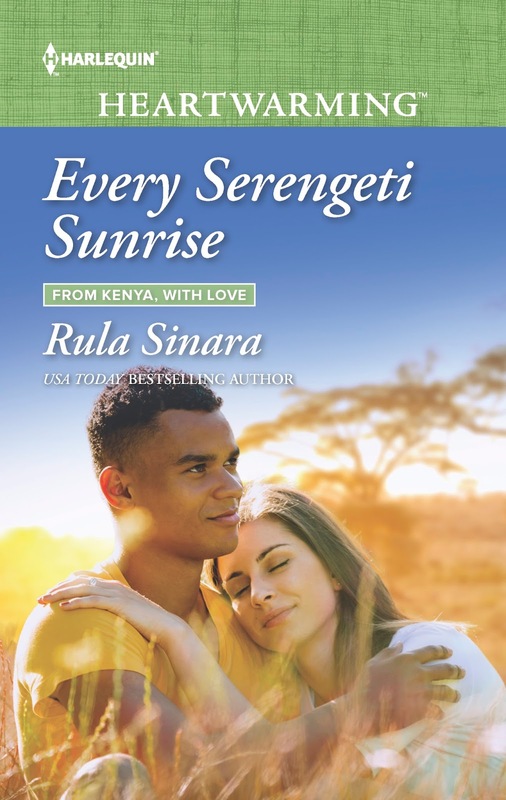 September 8th: Goodreads Giveaway for Rula's award winning The Promise of Rain (more GR giveaways from the series to follow...leading up to the release of Every Serengeti Sunrise)! November 29th: A fabulous Facebook party with hostesses Catherine, Rula, Liz and Beth...more information coming soon! December 2nd: Big giveaway launched here on the blog, courtesy of Catherine, Rula, Liz and Beth in celebration of our December releases! December 5th: Our official release day! Unless you shop at Harlequin.com or subscribe to Harlequin's reader service and get them a month early :). See, September also opens the door to the holiday season, gifts and giveaways! And by the way, tomorrow, September 6th, is National Read a Book Day! 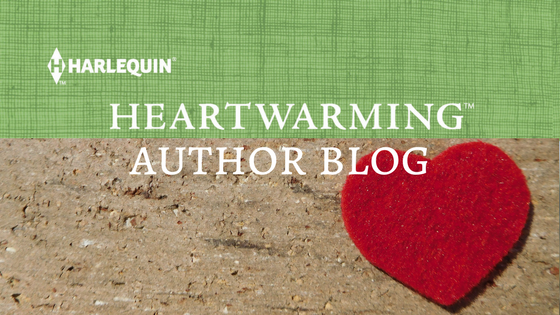 How many of you will be reading a Heartwarming? There's a post with an updated Heartwarming reading wish list HERE if you missed it. Will you have a September themed song playing in the background while you do? Which one? Nobody expects Paris Fashion designer Grace Railton to settle down in her Indiana town, least of all Mica Barzonni. Fifteen months ago he turned to her for comfort and compassion following a farming accident that left him permanently injured. Then she returned to France and went silent on him. Until suddenly, Grace shows up on his doorstep with life-altering news. Mica, a father? He’s barely learned to navigate his post-accident life. But this could be his chance to become the man he’s always wanted to be—the husband and father Grace and their baby son need. Now Mica just has to convince her to stay. I had no idea there were so many songs with September in the lyrics. I'm with you Catherine, the more sad the song the better, when it comes to inspiring my creativity. One of my go to groups is the Carpenters, especially their song Superstar. Ah, Jill! I am this huge, huge Karen Carpenter fan. I just wrote a line in a screenplay about "Little Altar Boy", a Karen Carpenter Christmas Song! Thanks for stopping by. Weren't Rula's flowers fabulous? This year, mine are all silk. LOL. Jill, I love the Carpenters too! As for all the September song digging, I have to credit Catherine with the idea. And now I can't get all these tunes out of my head! And Chad and Jeremy sang "September in the Rain" in the 60s when "the raindrops seemed to play a sweet refrain." I was 14 and angst was the order of the day. 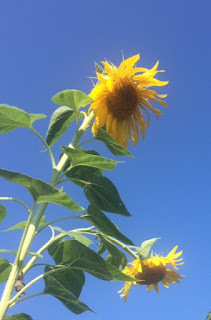 I love the sunflowers and am getting more and more excited about all the the new releases! That's it! Chad and Jeremy!!! I remember. Love that song. Yep. 14 was a rough year for me. 13 was rougher. I agree with you about the releases. I HATE pre-ordering. I want my books now! WAAAAAAAAAAAAAAA. Liz, I just looked it up and recognized it once I heard the song ;). Love it. Very dreamy. Looking forward to our release month! Thanks for the song memories, ladies. Best of luck with your releases! And congrats on your release this month, along with Janice Carter, Eleanor Jones and Betina Krahn! Thanks, TR! Looking forward to your release. I never realized there were so many September songs either, even though several are some of my favorites. Do you think it's because September sort of rhymes with Remember? I'm looking forward to sharing a release month with you both. So many exciting things to come! Beth, I have a weak spot for rhymes/rhyming lol. Maybe that's it ;). Looking forward to your sharing December with you too! Hi, Beth! We are so happy to be sharing a book birthday with you! We're gonna have fun! LOVED your Alaskan Catch. Can't wait for Northern Lights. Try to Remember is my favorite September song. And I rarely listen to music, especially ones with words when I write, but I think that's about to change! Thanks for a lovely post. That one has such a nostalgic feel to it :). And I can't listen to lyrics/music while writing...but for inspiration prior or during breaks...definitely :). I have to say, that one really tugs on my heart every time I hear it...and especially in September month. Thanks for coming to visit our post, Patricia! I love how songs can bring back such wonderful memories or evoke so much emotion. I never thought about how many September songs there are. I'll have to start paying attention, now. Both of your books sound amazing and I love the covers! Thanks, LeAnne! All the December books have such nice covers but the others are all holiday themed so I joke that mine is July at Christmas instead of Christmas in July lol ;). I have to admit, our covers are so cool. All The December books looks fantastick...oh gee...was that a mistake or a link to the post. LOL! Thanks--love this theme. Now "Try to Remember..." will be looping through my head for days. I do love that song, though. So many good covers--a couple of guys named Joe & Eddie did one back in the '60s as I recall. Anyone remember that? I don't 'remember';) that one but, like you, I have the songs stuck in my head now. I've had 'Wake me up when September ends' going non-stop in my head today. I'm blaming Catherine for coming up with the blog idea lol :). There's so much great stuff in it I don't know where to begin. Love the mention of songs, the pictures, the new book covers and upcoming releases. So much to look forward to. I'm enjoying the cooler evening temperatures in September this year. It's been a welcome relief. Thanks, Laurie! You're always so sweet. Glad you enjoyed the post! And yes, the cooler weather is one of the best things about September. We have storms coming through now and instead of the mid-eighties high we've had for two days, it'll drop to a high in the mid-sixties tomorrow! Laurie, you are the best. I was great fun to do this post and thanks to Rula, for all those lovely flowers. Our temps plummeted tonight. I may have to get out some fall pajamas! Thank you for your comments! And do go listen to some September songs! I agree, Laurie--what an info-packed post! Yes, Rula...they HAVE to get together in the end! Both you and Catherine have captured the bittersweet nature of this month! It really is a bittersweet month isn't it? So aptly put. This is why we need lots and lots of Heartwarming novels to get us through months like this!! YAY! I am very much looking forward to your December releases! Thank you, Kate! I wish I had time to play every single one of them. I had a great time just playing these few. They truly put me in the September mood! Oh, Thanks, Awesome Amy! Isn't that just the cutest baby? I wanna squeeze his little cheeks...really bad. And Rula's cover truly takes me away. Love her Kenya novels! Thanks for being here with us! Yes, that baby on Catherine's cover is too adorable!! And thanks, Catherine :). Ditto with your series! I didn't get a chance to end this wonderful post, Catherine and Rula, until last night as I was in transit from cottage to home. Maybe that was a good thing though, cause I know those songs would have been in my head the whole way! Love the covers and look forward to the reads! Aaaargh, to 'read', not 'end'!!! LOL, Janice, I can imagine because the songs were stuck in my head for days! Hope you enjoyed your cottage stay :). I love September,with its sweet melancholy. Maybe I was pre-conditioned by my dad, whose favorite songs were September Song and Autumn Leaves. I always wondered if he was thinking about my mother, who died before I had a chance even to remember her. Helen, sorry about the loss of your mom at a young age. That got me in the heart when you said September probably makes your dad think of her. That's love. September is bittersweet and, as you said, sweet melancholy.